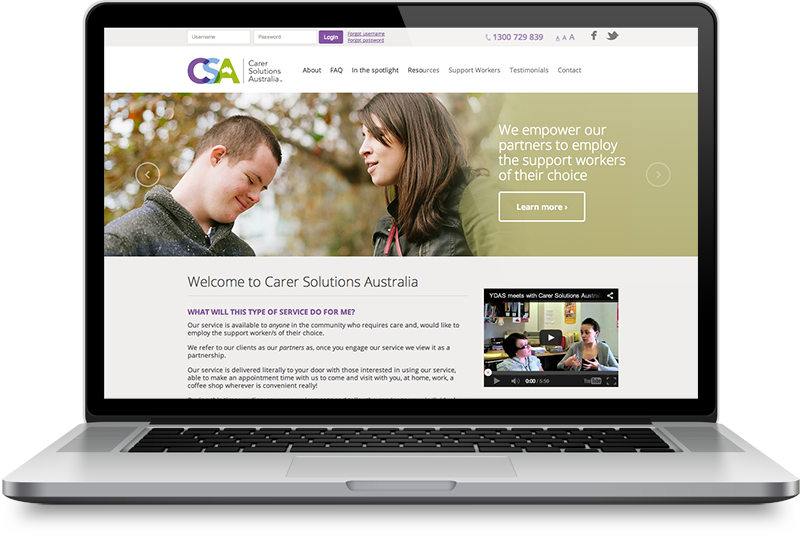 Carer Solutions Australia empowers their clients in locating a carer or carers that are specific to their individual needs. 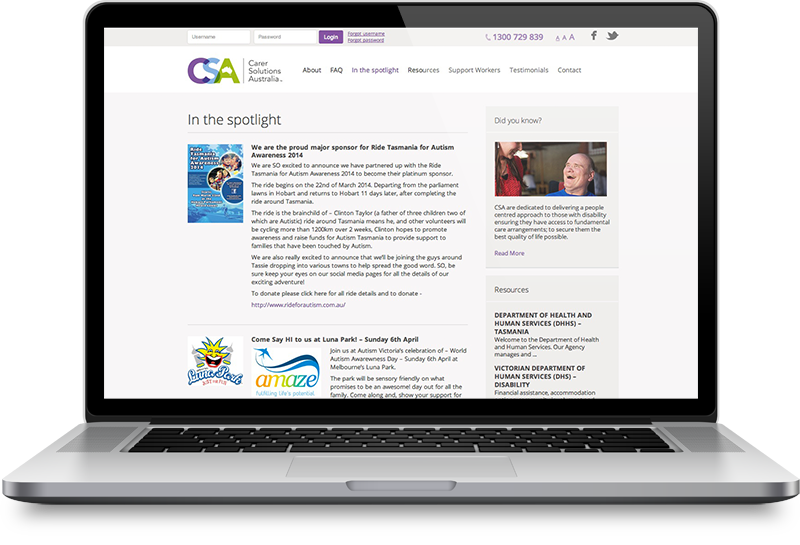 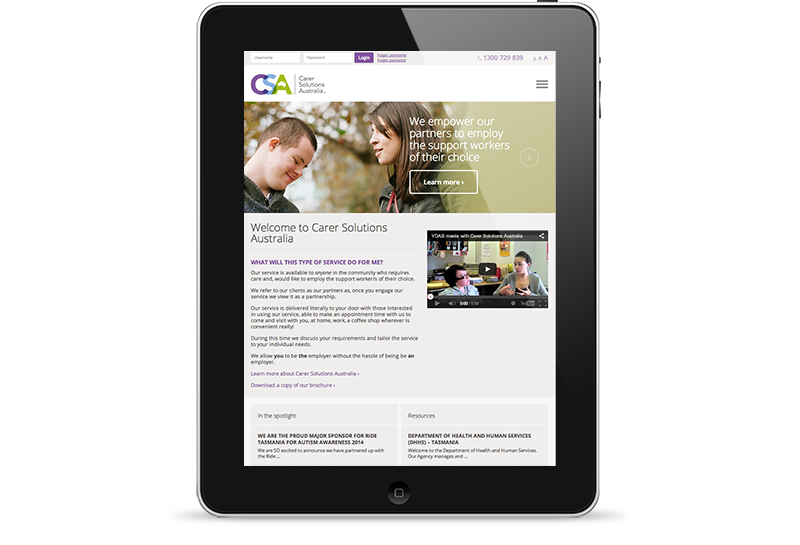 I worked with CSA to redesign and refresh their existing brand along with the design and development of a new custom, responsive, CMS managed website design. 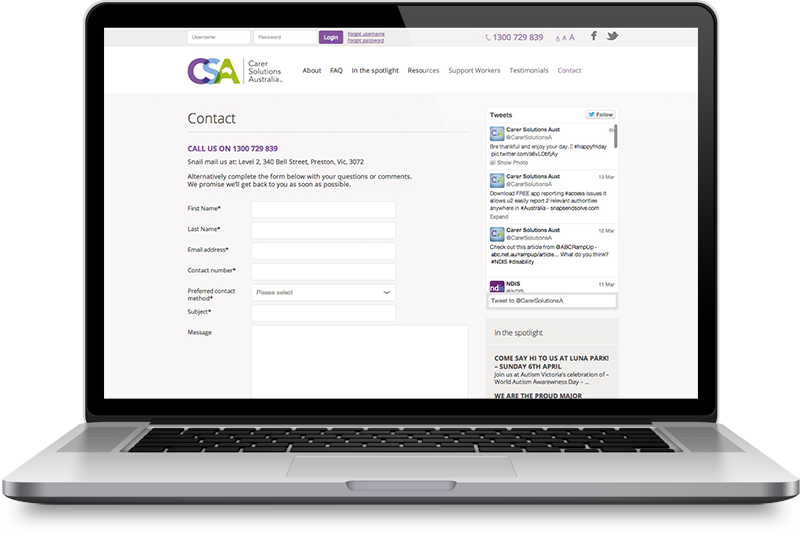 The primary aim of the website is to represent CSA and form an important launching point for new clients, whilst disseminating useful resources and content to their existing client base. 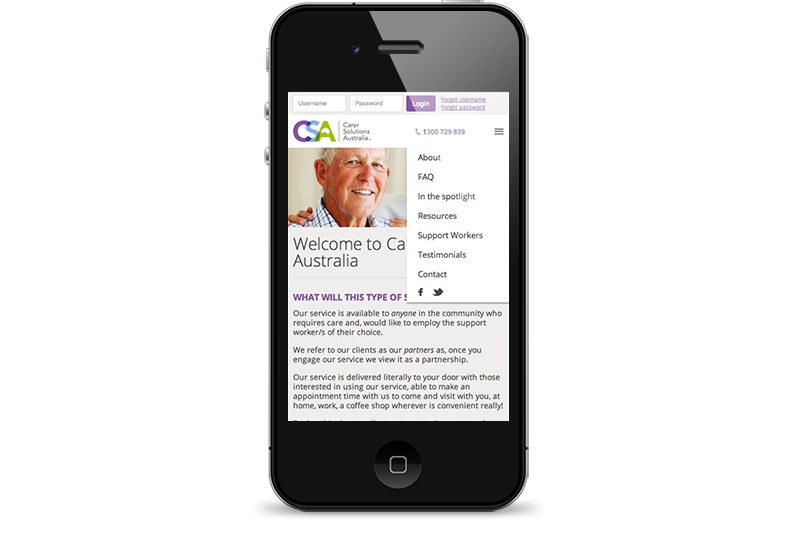 The website design utilises clean and spacious layout techniques, elegant typography, a focused colour palette and an easy to navigate user interface.